Despite calls for his resignation early in the 114th Congress, New Hampshire U.S. Representative Frank Guinta held off a bevy of GOP challengers to once again win his party’s nomination in the state’s 2nd Congressional District. Guinta was fined by the FEC last year for not disclosing the actual source of more than $350,000 in loans received during his victorious 2010 congressional campaign (he had claimed the loans were from himself, but they were from his parents’ account). As a result, Guinta saw four opponents line up against him on the primary ballot: business executive Rich Ashooh of Bedford, stonewall builder Michael Callis of Eaton, landscape company manager Jamieson Gradert of East Hampstead, and Robert Risley of Sanbornton. Two of these challengers had previously run for the state’s 1st CD seat: Ashooh came close to winning the GOP nomination back in 2010 when he place third just 4.1 points behind Guinta while Callis challenged two-term incumbent Jeb Bradley in 2006 and won just 13.2 percent in the two-candidate race. porting, Guinta was victorious with only 46.5 percent of the GOP vote with Ashooh just 1.2 points behind at 45.3 percent. Callis placed third with 4.0 percent followed by Risley at 2.4 percent and Gradert at 1.8 percent. To be sure, Guinta can be thankful that his FEC issues came to a head over a year ago and thus were not starting to make headlines during the weeks leading up to the primary. And his victory – however slim – reinforces how difficult it is to unseat incumbents. A Smart Politics analysis finds that since primary elections began in 1914, New Hampshire U.S. Representatives running for reelection won their primaries in 85 out of 86 races, or 98.8 percent of the time, including each of the last 61 attempts since 1944. [During this 102-year span, 18 seats to the chamber were open with incumbents retiring or running for higher office]. Democratic incumbents have won all 18 of their renomination bids over the last century – including Ann Kuster in the 2nd CD on Tuesday (Kuster ran uncontested). With Guinta’s win, Republican members of the nation’s lower legislative chamber have now been victorious in 67 of 68 contests in the direct primary era. All told, members of both parties have won renomination 61 times in a row since 1944. The last (and only) time a New Hampshire U.S. Representative lost a primary was 74 years ago in the 1st CD when three-term Republican Congressman Arthur Jenks was defeated by Chester Merrow in 1942. [Before serving two full terms, Jenks served only part of his first term in the 75th Congress when Democrat Alphonse Roy successfully contested the close 1936 election in June 1938]. Merrow, a former professor and state legislator, beat Jenks by 4.0 points in the September 1942 primary and went on to serve 10 terms in the chamber before retiring in 1962. Despite his victory, Guinta’s 46+ percent of the vote on Tuesday was the lowest ever for any U.S. Representative from New Hampshire in a direct primary and the congressman became just the third incumbent in state history to fall short of winning a majority of the vote. 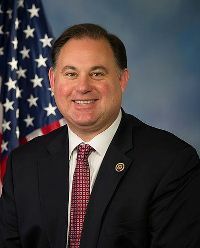 At 46.5 percent, Guinta received a smaller slice of the primary vote than even Congressman Jenks during his failed 1942 renomination bid (48.0 percent). Only one other U.S. Representative from either party has failed to win 50+ percent of the primary vote in New Hampshire: freshman GOP Congressman Bill Zeliff in 1992. Zeliff won 49.8 percent in a three candidate race with Ovide Lamontagne 14.5 points back with 35.4 percent. The average support for each of the 86 times a New Hampshire U.S. Representative sought renomination in the direct primary era is 86.3 percent, with incumbents winning by an average of 74.5 points. Guinta’s 1.2-point win was also easily the closest renomination victory in New Hampshire primary history with the aforementioned Rogers’ 5.1-point win in 1934 the previous low water mark for the office. With his victory, Guinta will face former Congresswoman Carol Shea-Porter for the fourth consecutive cycle – the first time in state history two major party nominees have squared off four times against each other. Next: The 7-Cycle Itch: Will Pennsylvania Flip in 2016? 1 Comment on "Frank Guinta Wins Renomination with Record Low Support for New Hampshire US Representative"
Guinta may also be thankful that the “Live Free or Die” state is free of a runoff provision, specifically an absolute majority requirement for nomination (his 46.5% may have been his support ceiling, and may well be again in the 8th of 11 again all-too-frequent opponent Shea-Porter).